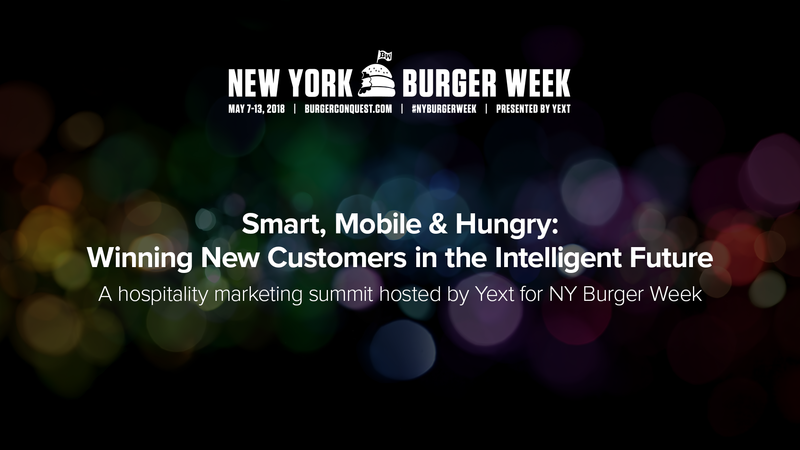 Burger ConquestBurger Conquest | Social, content, hospitality marketing tips and NY Burger Week. As Instagram constantly changes how their algorithm works, growing an account gets harder and harder. Even the biggest, most active, most studious users face the same challenges. Just staying current on what works can get to be a full-time job. There are however a few universal things you can do that have continued to work through every change that Instagram makes. Below you will find some foundational, non-engagement based tactics that will help you grow your following and maintain your account. I have no idea what that was but apparently it was from a bar named Clive in Austin, TX, likely while attending SXSW. It wasn’t until 8 months later that I shared my first food photo to Instagram. You know how I know my night is awesomez? Since then I have shared nearly 15,000 photos to Instagram across about a dozen accounts and amassed more than 300,000 followers. I tell you this not as a humble brag but to establish my experience and accomplishments. Throughout all of this, I’ve learned a lot about how to grow an account, stay relevant and earn engagement. And now I’m going to give all those secrets to you. These are absolutely the best and most valuable tips I can share with you that will help you do the same. Absolutely the most important part of growing your followers and increasing your engagement is having a reason they should engage with you. What is your theme? What is the value you bring? What do you want to get out of this? Why should somebody care about everything you post? Answer these questions and everything else you do on Instagram will more easily fall into place. Does the photo you want to post, the text you want to write, the link you’re putting in your bio match your goal and the reason why people want to follow you? If yes, then post. If no, skip it. Once you’ve figure it out what is your reason, make sure your bio reflects it. 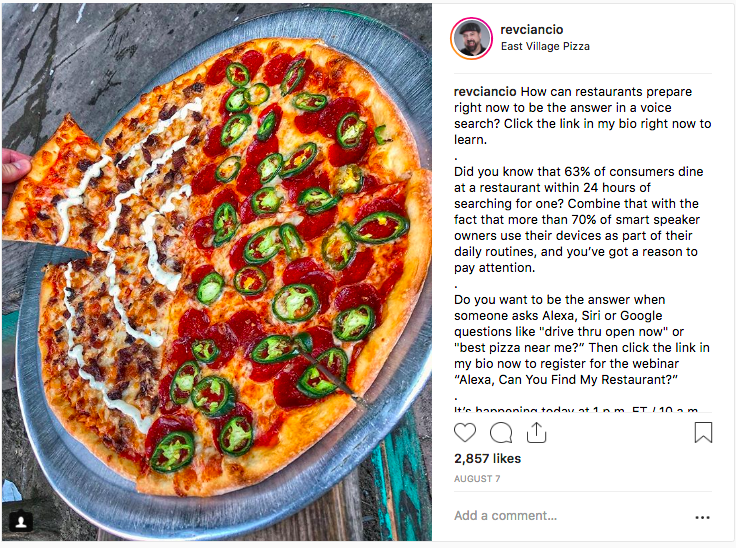 For me, I want to be known as a marketer as well as a food fanatic and an NYC / NJ based food influencer. That’s why I started writing marketing tips as my captions and using hashtags like #RevsMarketingTips and updating every Monday using #MarketingTipMonday. By the way, your reason and goals can change over time so don’t feel the pressure to nail it on the first try! It doesn’t matter what time you post, what hashtags are used, how many pods you use, how many times you share a day, if you do video or photo or stories or post just to your feed… Nothing is more important than the quality of the photo or the video. Not all photos have to look amazing. If you’re a meme account, it’s about content that gets the biggest laugh. If it’s all live videos of you talking, whether you are telling jokes, giving advice or making a how to video, whatever the topic is, it had better be engaging. If it’s a photo, especially food, it comes down to three things: the right angle, great light and great editing. I don’t edit on my laptop, but I love Photoshop. If you’re looking to get quick and dirty and keep it all on your phone, I suggest using Snapseed (iOS / Google Play). It’s free, it’s easy and once you develop your style, it’s quick. Even the greatest photos can use a little touching up. Whether it’s just doing a white balance, bringing up the contrast or adding some structure, a couple quick taps can make your photo look amazing. Look at the difference in the raw photo vs what went live on Instagram. If you’re never going to post on a Saturday and Sunday, then never post on a Saturday and Sunday … unless there’s a darn good reason. If you’re going to post once a day, make it the same time every day. We may not appointment view TV anymore thanks to DVRs, on demand viewing and streaming services, but most of the rest of our life is on a schedule. We get up at the same time, we go to work at the same time, we eat lunch around the same time and we check social media at at the same time every day. If your followers love you or your content, give them what they want when they are online. When should you post? The short answer is whenever you are most likely to get the most engagement. To figure this out you’ll need to test, test and test again. For a deeper dive, heres a guide to the best time to post on Instagram. Look into your Analytics and see when the most of your followers are online. If you’re in engagement pods, figure out what time most people are active. If you can match those two up you’ll be in a good position. The first hour your post is live is the most important for engagement and growth. What is your theme? What do you post? What gets the most engagement? Which types of your content gets the most saves and or profile clicks? What do people know you for? What do you want to be known for? Figure out what you should be posting and make sure that you stick to that even if it includes a certain percentage of experimentation. If you’ve already done #1 above, this will be much easier. I know for me, pizza and stacks of burgers do the best. I make sure I try to have two of those every week. Because I want to brand myself I try to make sure there’s always a picture of me once a week. I also want to be known for steak so I make sure there’s always at least one steak per week. I’m a french fry guy, so I make sure there’s one french fry post per week. What should your weekly mix be? Use a varied mix of hashtags that have different levels of usage. 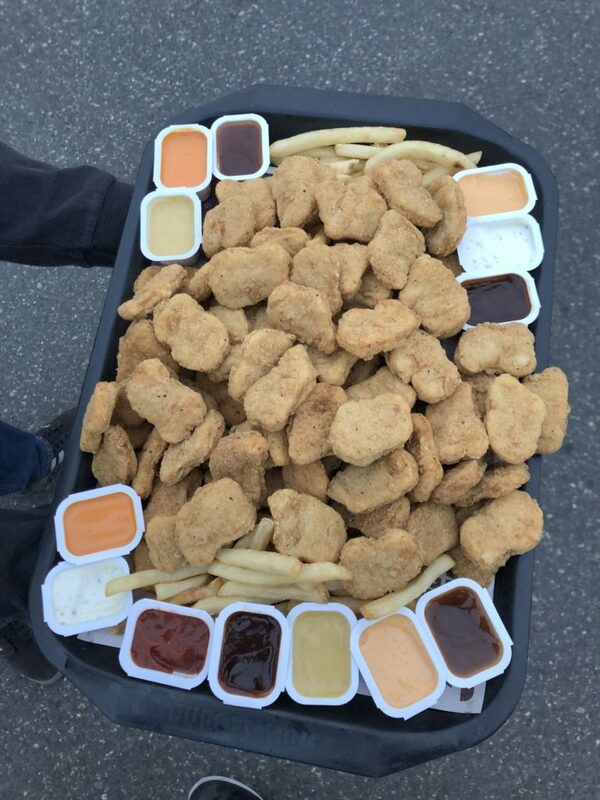 Some people call this this “Three Tier Strategy.” The idea is to use some hashtags that don’t have a ton of volume, some that have big volume and some that have huge volume. You’re trying to try to get enough engagement behind your post so it makes it to the top of the explore page for any of the hashtags you are using. The ranges of the tiers will change as your account grows. If you are small account, then trying to get your post to the explore page using hashtags that have millions of uses is a futile attempt. But 100,000 might be possible, 50,000 is definitely possible and 20,000 is much easier. If you are a large account, tier 1 might be hashtags with more than a million uses, tier 2 might be 100,000 to 1 million and tier 3 might be hashtags with less than 100,000 but more than 50,000. Another way to think about it is hashtags that are extremely specific to your post, some that are relevant and some that are generalized. 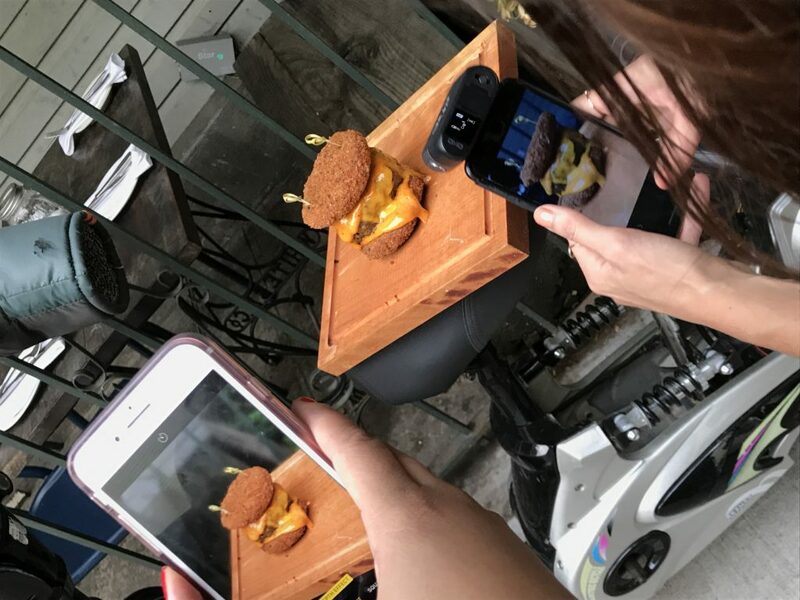 Using food and restaurants to explain; you want to use a mix of food items specific, foodie, location and Instagram themed hashtags. You also want to make sure that you’re not all using hashtags that have the same quantity of people using them. As an example trying to get your post to come up under the #Food is nearly impossible but #besthotdogs is much easier. Having a mix in sizes will help you. Remember, you can use up to 30 of them so I suggest you take full advantage. Here’s a fully baked restaurant example. It has category, item, foodie and location tags. Following these tips will help guide the growth of your account and increase your engagement. #FunFryFact – there are at least 21 different classifications for French Fries. If you are truly a French Fry lover, I suggested following my French Fry themed Instagram account, @funwithfries where you will be met several times daily with some of the best French Fry photos that the internet has to offer. I’ve been cataloging some of the best French Fries on the internet there for years now. By following the account you’ll be served daily with more enjoyable gratuitous French Fry love than should be allowably legal. 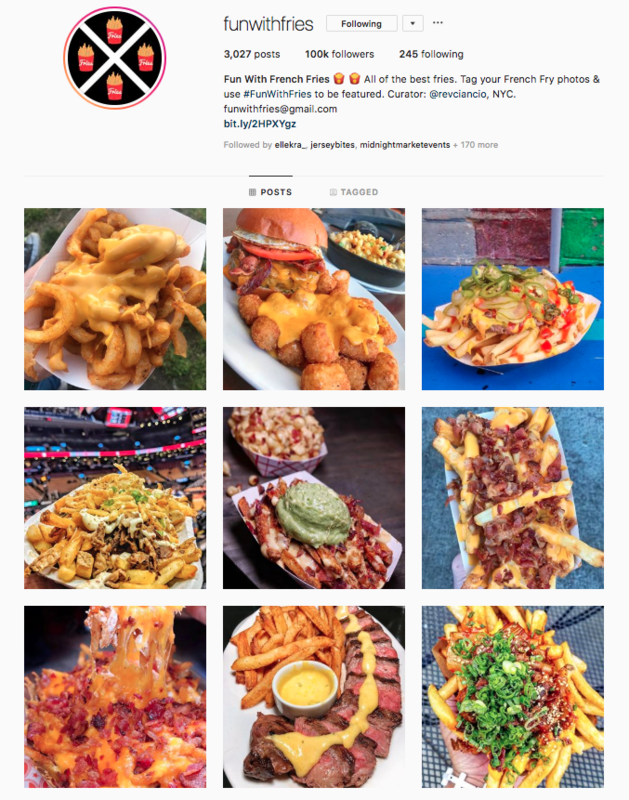 I’ve even been featured on ABCNY7 on my how I display the world’s excitement for Fries through the lens of Instagram. This is the ultimate guide to understanding them. Below you will find definitions, explanations, preparations and photos that will help you to realize and understand the world of the French Fry. Belgian Fries / Frites: made from a special Belgian Potatoes called bintjes which is very soft. They are thick-cut and double-fried. Traditionally served in a paper or wax cone with mayo and ketchup. Cheese Fries: Any French Fries covered in cheese. No one in particular can nail down the origin of cheese Fries but it’s believed to be linked to the creation of canned cheese. Cheeze Whiz is the most commonly known example dating back to 1952. Chili Cheese Fries: This is an adaptation of cheese Fries whereas chili is added on top of the Fries with cheese. Don A. Jenkin claims to have invented the chili cheese Fry at the age of 16 in Tomball Texas. The name Austin Ruse’s gets mentioned often as the first person to serve chilli cheese Fries out of a Dairy Queen in Missouri. Which just so happens to be the same restaurant chain where Don A. stakes a claim. Chips (British): Im here to tell you that there is no difference between French Fries and what the British call “chips.” While in American, Fries typically tend to be long and then, traditionally in British, the “chip” is not as big as but close to being a steak Fry. Cottage Fries: Search Cottage Fries on the internet and you’ll be taken to pages about home fries. No. That’s in accurate. These are made by cutting a potato into thick slices using a corrugated slicer. Imagine Ruffles potato chips but thicker and flatter. They are the fries of choice at the famed JG Melon of New York City. Crinkle Cut: These Fries are defined by the way in which they are sliced. When cut with corrugated knives or mandoline blades it creates a corrugated surface on the French Fry. Potato chips can be made in the same way. But which came first? The Fry. Garlic Fries: a special kind of topped Fry that is so unique and popular that it has earned its own classification. These Fries are served with grated parmesan cheese, salt, parsley and copious amounts of chopped garlic, most frequently from Gilroy, CA, the garlic capital of the world. Home Fries: When you parboil, slice and then Fry Potatoes, they are typically called home Fries and served with breakfast. Loaded Fries: When cheese Fries are not enough, they get topped with other items like bacon, sour cream, jalapeños, pulled pork, mac and cheese, pepperoni, red sauce or any other combination of items that turns them from being a side item to a main course. Nacho Fries, or Irish Nachos (when the tortilla chips are replaced with a Potato variation) would fall under this classification. Pommes Souffles: Some might call the French Potato preparation a chip, and they are wrong. Slices of Potato are fried twice, once at a lower temperature of about 300 °F, then cooled down and then fried again around 375 °F. This causes them to puff up like little balloons as they turn golden brown. They were invited almost by accident in 1837 by Chef Jules Colline, who also invited Béarnaise sauce. He is a hero. Poutine: Originating from the Canadian Province of Quebec, these are Fries topped with brown gravy and cheese curds. The dish originated in the 1950’s, almost 10 years after the creation of Disco Fries in America. These are Fries topped with American cheese and brown gravy. Shoestring / Matchstick: The Merriman-Webster dictionary defines these as “Potatoes cut into very thin long pieces and fried in deep fat : very thin French Fries. Sometimes you might see potato sticks on a menu. They are a form of shoestring and commonly found as a sandwich topping in Cuban cuisine known as Papas Julianas. Smiley: AKA Smile Fries and Potato Smileys. Its a circle shaped French Fry with 2 eyes and a smiley mouth cut out. No one really knows or claims to have invented them and its possible that they just dont want to. Why? They are the most inferior of Fries, but they exist and they are a classification. Standard Cut: This is the classification for the most popular, well-known and common version of a French Fry. When you picture Fries in your mind or someone creates an emoji to sum up all of the French Fries in the world, they are standard cut Fries. Steak Fries: These are Fries that have a thick cut and got their name because they are typically served with steak. These are not to be confused with steak frites, which is an entire dish made up of steak, standard Fries and either a peppercorn or Béarnaise sauce. Special shout out to Onion Rings which are not French Fries but are a much better side for steak than Steak Fries. Sweet Potato Fries: A variation of Fries made from a sweet Potato. Sweet Potato Fries can come in many forms including standard cut, waffle and tater tot. They’re super power is to transform into a desert so feel free to dip or top with honey, sugar, syrup or marshmallow cream. Tater Tots: 1953 was a banner year for Potatoes. Ore-Ida founders F. Nephi Grigg and Golden Grigg invented these by chopping up leftover slivers of cut-up Potatoes, added flour and seasoning and then pushed the mash through holes and sliced off pieces of them before deep Frying. 1956 was an even more important year because that’s when tater tots were first offered in stores. The world has been an amazing place ever since. Waffle Fries: If French Fries had a “triumvirate of awesome”, meaning the 3 best and most superior types of Fries, Waffle Fries would be one of the points of the triangle along with Curly Fries and Tater Tots. Waffle Fries are created by quarter-turning the Potato before each next slide over a grate. This gives them a lattice, or criss-cross shape. If you’re fancy, or nasty (in the Janet Jackson sense of the word), you call them by their French name, Pommes gaufrettes. Let's go back to the basics. Waffle fries. Love 'em or leave 'em? Happy ?day! #dailyfoodfeed #dailyfoodfeednyc ? : @dailyfoodfeed ? : @emmysquaredpizza ? 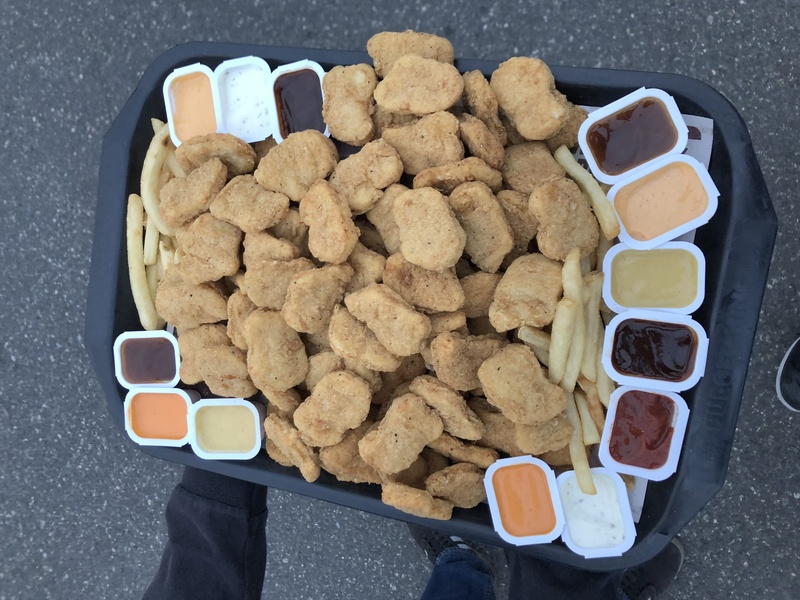 : dailyfoodfeed ? TAG YOUR FRIENDS ? Now go forth and have some #FunWithFries! 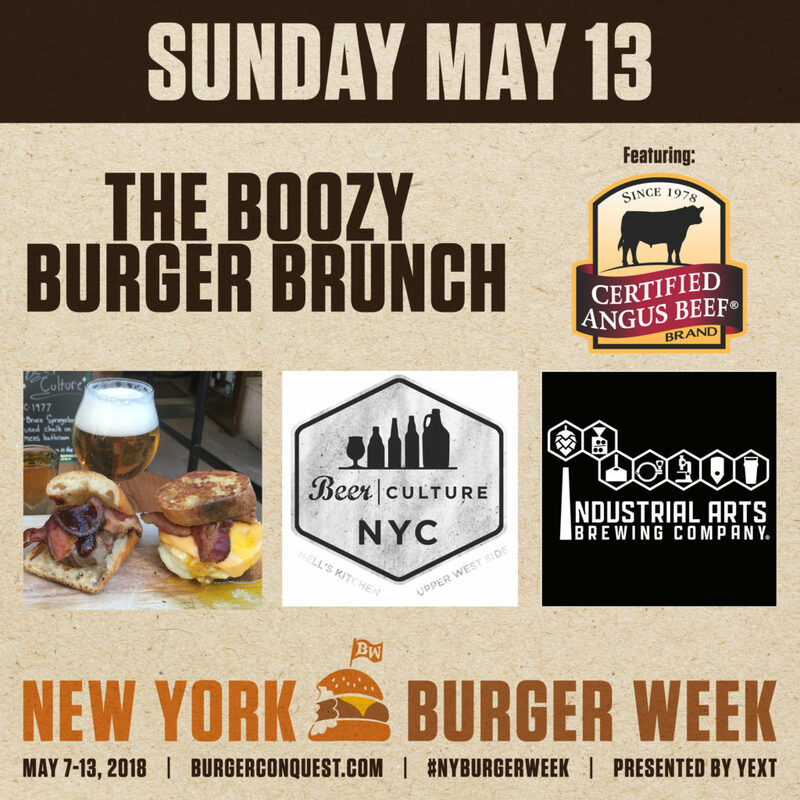 To celebrate National Hamburger Month, Burger Conquest & Rev Ciancio proudly brings you the annual NY Burger Week, May 7-13, 2018, presented by Yext. 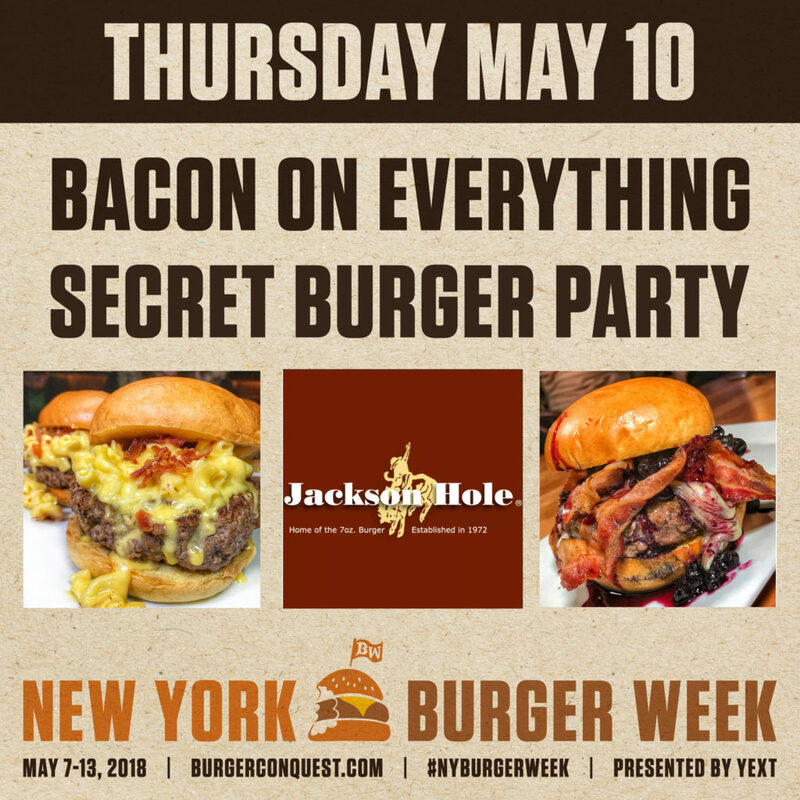 For one night only, Jackson Hole (521 3rd Ave) – will host the Bacon on EVERYTHING Secret Burger Party for NY Burger Week. 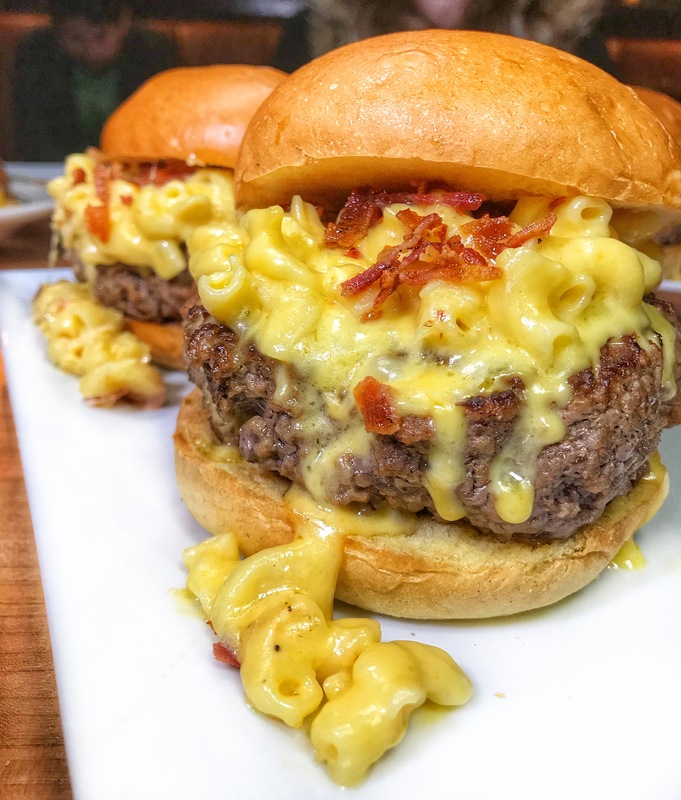 They’ll take 3 of their specialty Burgers and serve them together … ALL TOPPED WITH BACON! Bacon Burger lovers rejoice, this is your night! We’ll eat together in Jackson Hole’s secret party room as we dive head first into bacon Burger nirvana. There are only 10 seats available for this special bacon on everything pop up. Get your ticket right now. 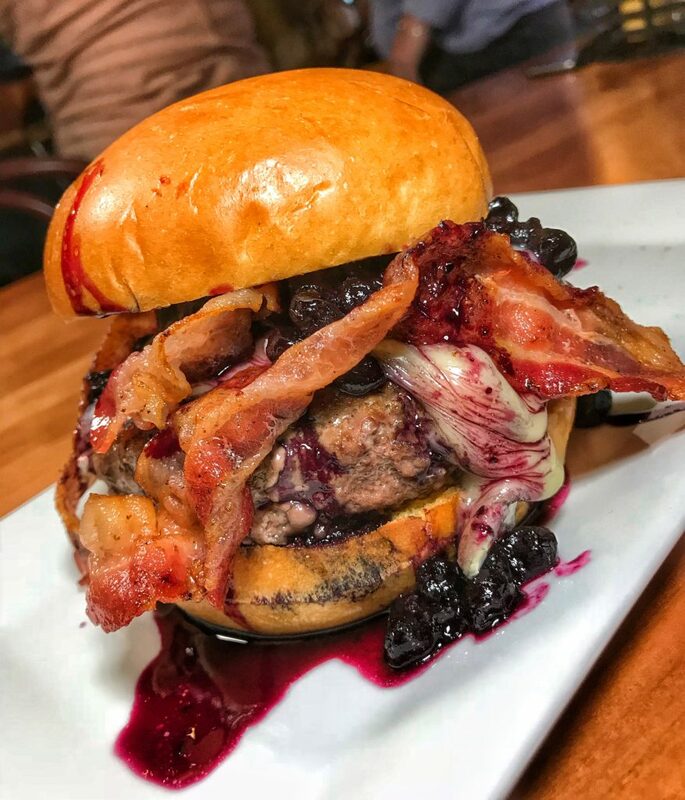 5 Napkin Burger is known for having pretty awesome Burgers. For those in the know, the restaurant has had many specialty Burgers that pop up from time! Well we’ve taken the best of the best, reimagined them and will be serving 2 of them for one night only! 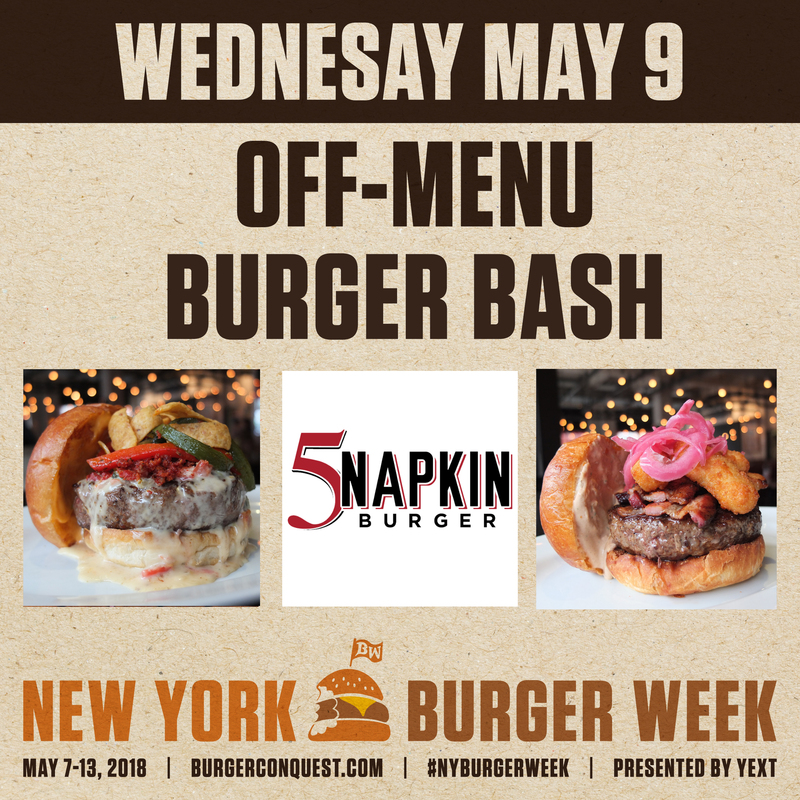 Join us on Wednesday, May 9th for an exclusive, off-menu Burger & beer bash at 5 Napkin Burger (150 E 14th St). You and a friend will team up to tackle 1 off-menu appetizer and 2 off-menu Burgers in one night. First off, you’re meal will get started with some crisp coconut shrimp tacos. 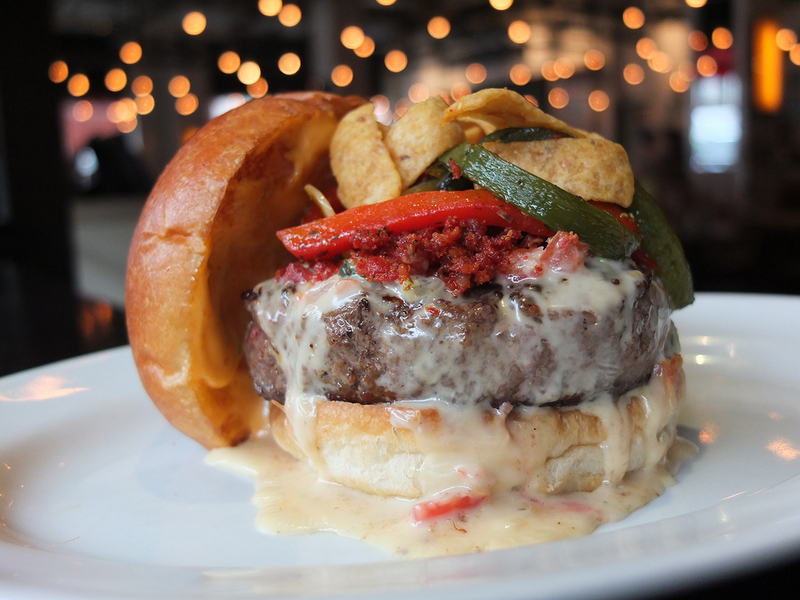 That will be followed by the Baja Burger; All natural ground chuck, queso fundido, jalapeno chorizo, rajas, spicy mayo, fritos, house recipe potato bun. 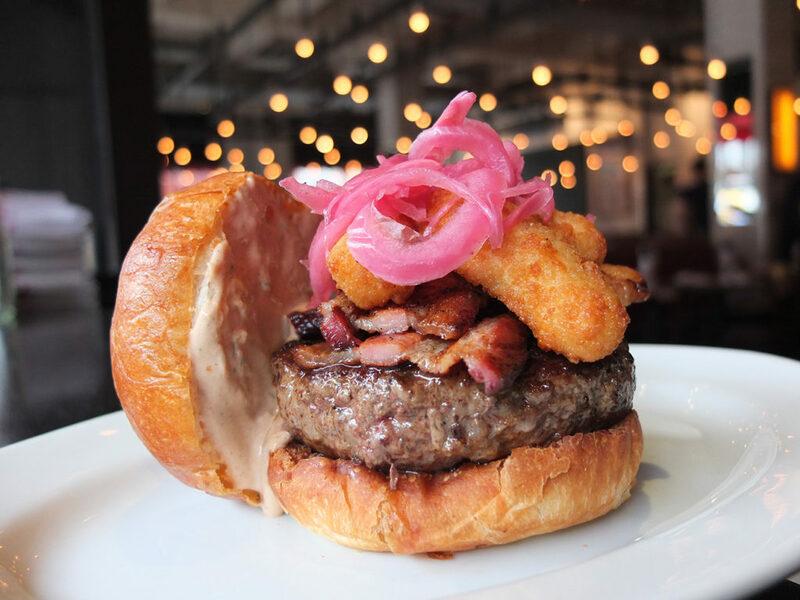 Then the two of you are going to split another off-menu creation; the Barbecue Ranch Burger, All natural ground chuck, fried mozzarella, cider braised bacon, pickled onions, barbecue – ranch sauce, house recipe potato bun. You’ll be washing those down with a paired craft beer. It’s a true insiders, VIP style meal! Purchase your tickets based on which seating you would like to attend. 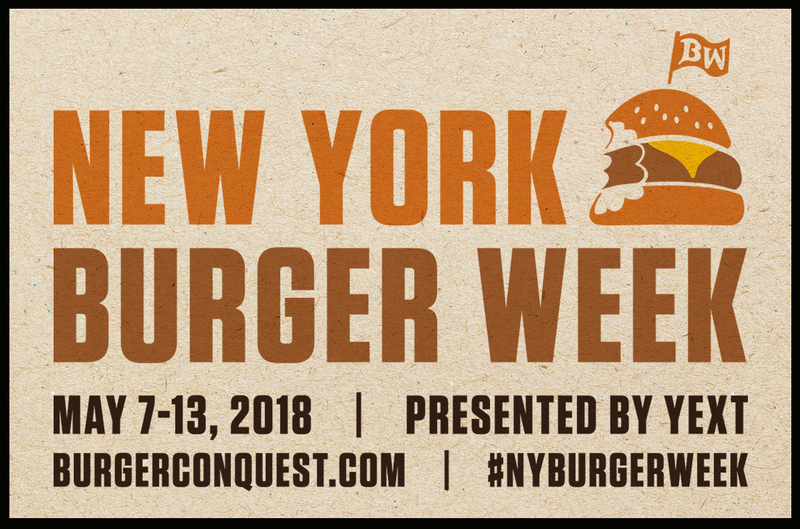 2018 NY Burger Week – Smashburger You Taste It First! New York City is the BEST Burger town there is and as proof, Smashburger is releasing their brand new Pub Triple Double Burger here first! 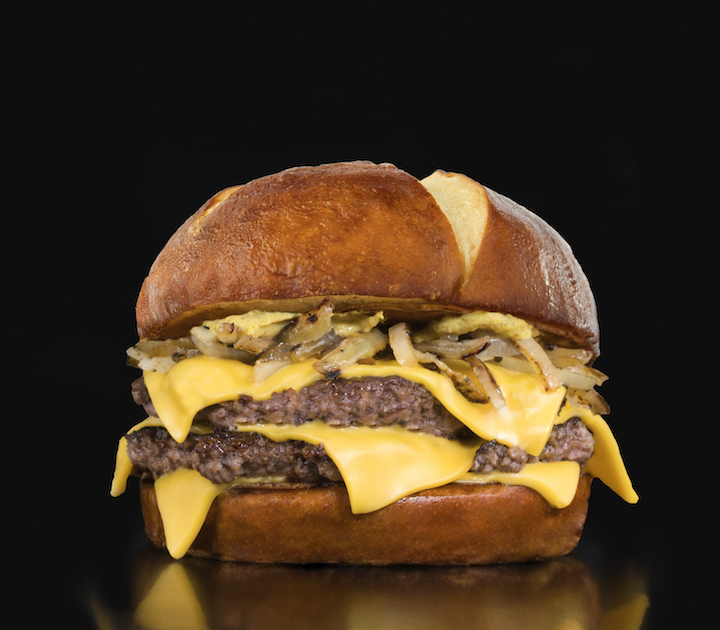 The Burger is made with two fresh, never frozen all-beef patties with three layers of American cheese topped with garlic grilled onions and Gulden’s spicy mustard on a pretzel bun. 40 lucky Burger lovers will get the chance to taste the new Burger before anyone else in the county at this exclusive event! 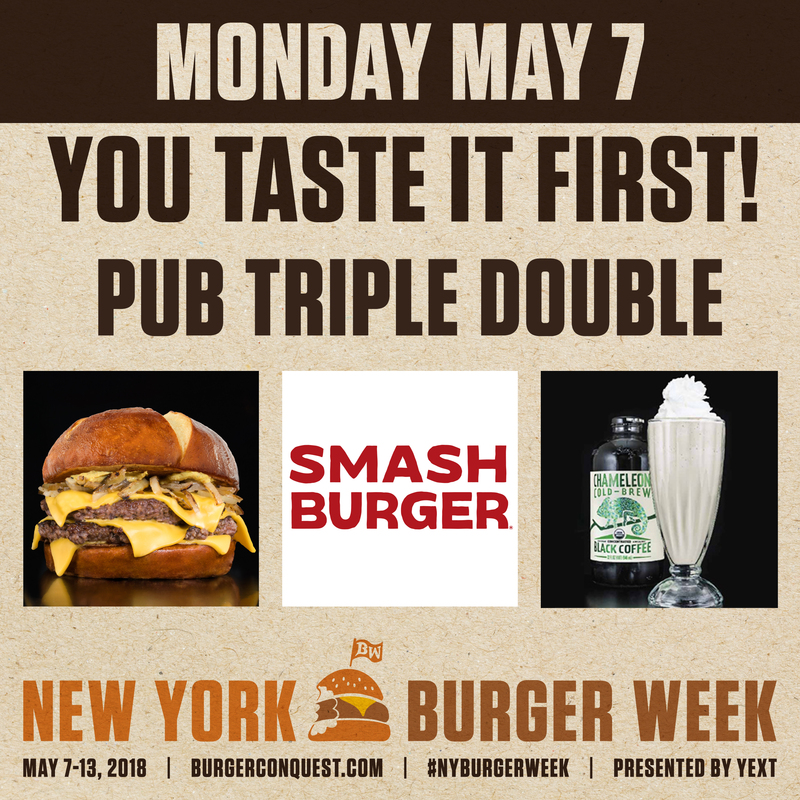 Join us on Monday, May 7th for the kick off of the 7th annual NY Burger Week at Smashburger (10 West 33rd Street) and be the first person in the United States to eat the Pub Triple Burger at Smashburger. Your meal is going to come with your choice of one side and their new Chameleon Cold Brew Coffee Shake or a craft beer. The rest of the world can try them starting May 8th but you, YOU get the chance to have one before anyone else! BUT THAT’S NOT ALL BURGER LOVERS! Can’t make the event? Smashburger has you taken care of. During NY Burger Week, from Tuesday, May 8th through Friday, May 11th you can download a special coupon available through NY Burger Week only that gets you the Pub Triple Double for only $2! This is a private event for restaurant operators / owners, hospitality marketing agencies & food influencers. If you are one of those and would like more information, please contact Rev Ciancio. Upgrade to Activate the Stones with a spiked shake! 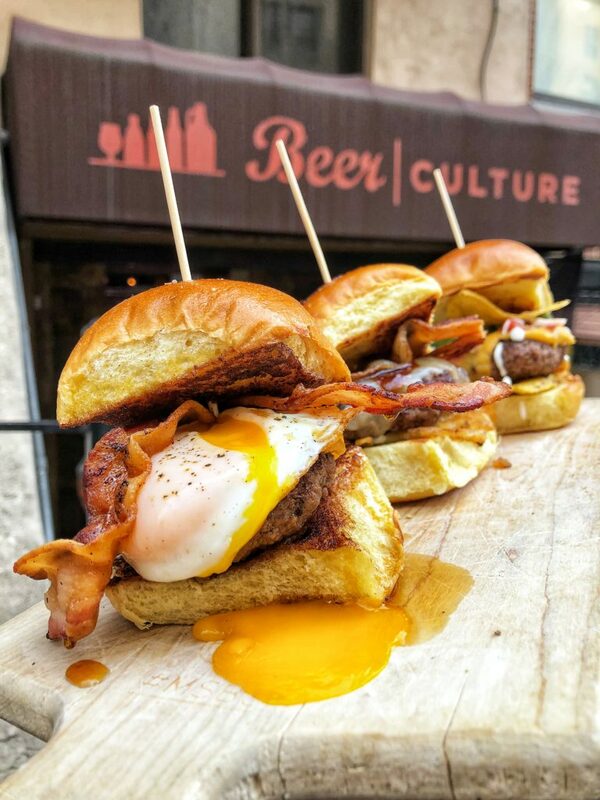 Beer Culture (328 W 45th St,) and Certified Angus Beef® for a very special Burger & Beer pairing brunch. You’ll get taste 3 different, off-menu mini-Burgers all made with Certified Angus Beef® gourmet ground beef. Each of those Burgers will be paired with a different craft beer from Industrial Arts Brewing Company. A beer tasting expert from Beer Culture will be on hand to give you an education on the brewery and walk you through the beer pairing. There will also be a Burger expert on hand representing Certified Angus Beef® to give you an education about what makes CAB so special. 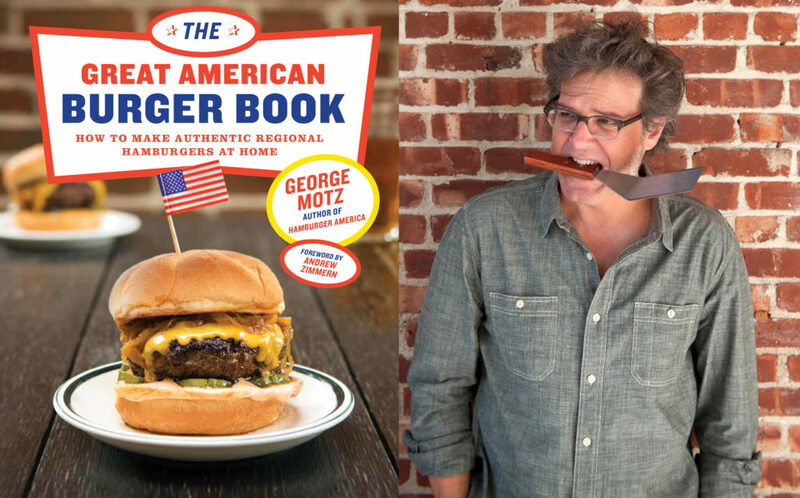 We’ll also be joined by the world’s leading Hamburger expert and Great American Burger Book author, George Motz. . George will be on hand to give you an “eatucation” and history of the Hamburger as well as sign copies of his book. 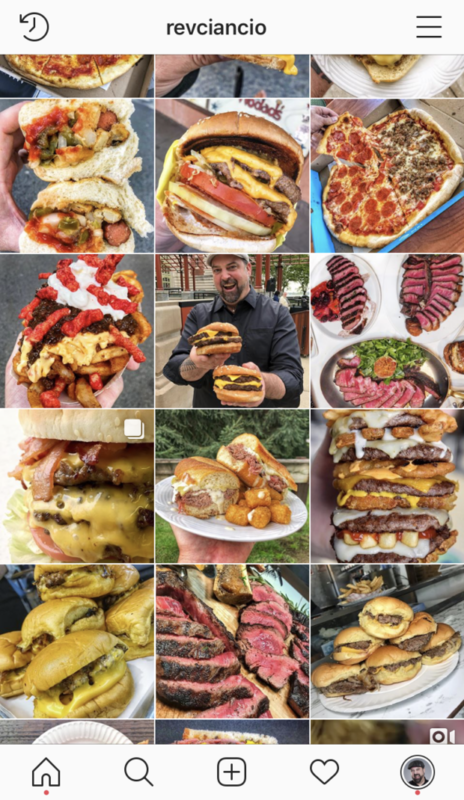 Do you follow #Foodporn or #DevourPower on Instagram? 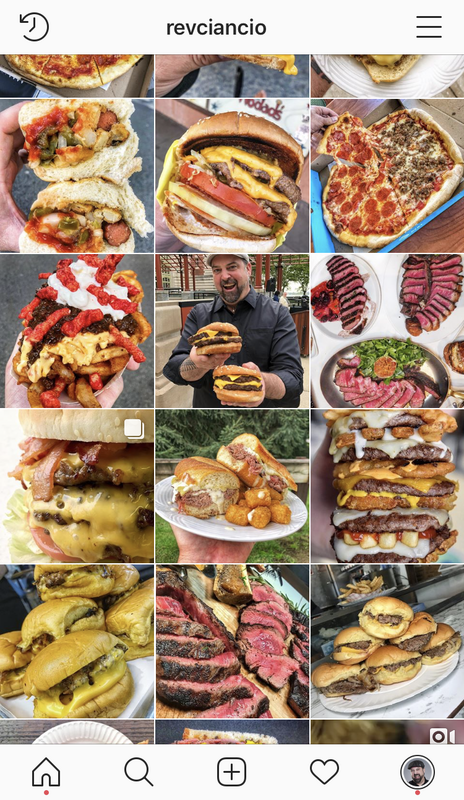 Admit it, you spend hours a day liking and comment on Burgers and pizza on social media. Its cool, we do too. Here is your chance to become the influencer! 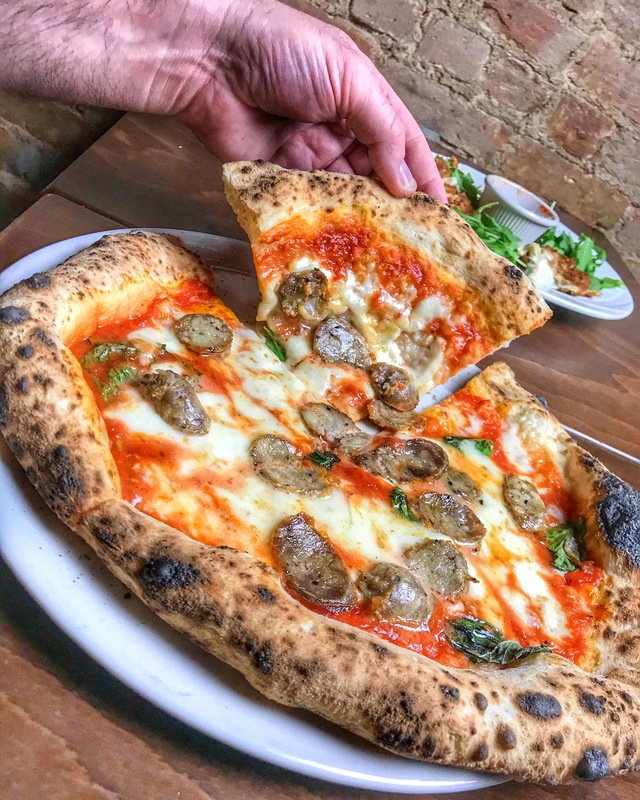 San Matteo Pizzeria e Cucina (1559 2nd Ave) will host a meal on Saturday, May 12th that will put you on the inside of what goes on at an insider tasting. 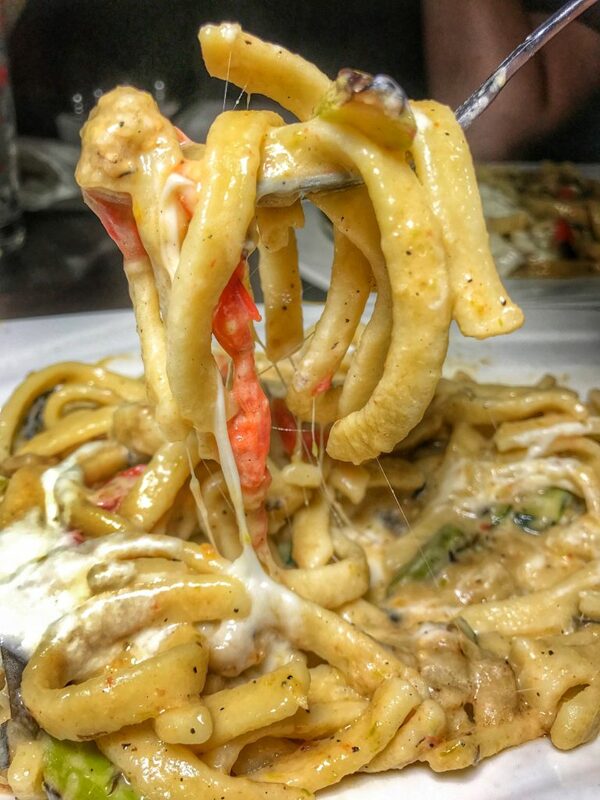 Not only will you get to taste one of San Matteo’s signature wood-fired pizzas but you’ll also get to do all the pasta pulls you can handle with their amazing pasta in a bag. The noodles are all made in house and cooked with the ingredients in an aluminum foil bag that when opened at your table explodes in a puff of steam that’s worth at lest 10% more likes on Instagram! 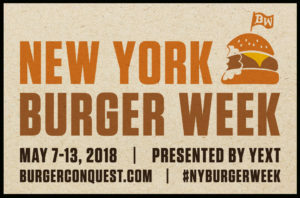 But that’s not all, this is NY Burger Week after all! Chef & owner Fabio Casella will be serving on this day only, his off-menu, Italian-style steak-Burger. The entire meal will be hosted by Devour Power who will be bringing some of your favorite local influencers you follow to give you tips and tricks on how to take the most mouth watering photos. After the event, you’ll be encourage to share your photos on Instagram and some of you will win a chance to be featured on @DevourPower and @RevCiancio Instagram stories! Superheros are uniting to battle the most evil enemy your Burger has ever seen, the over-the-top sugary milk shake. 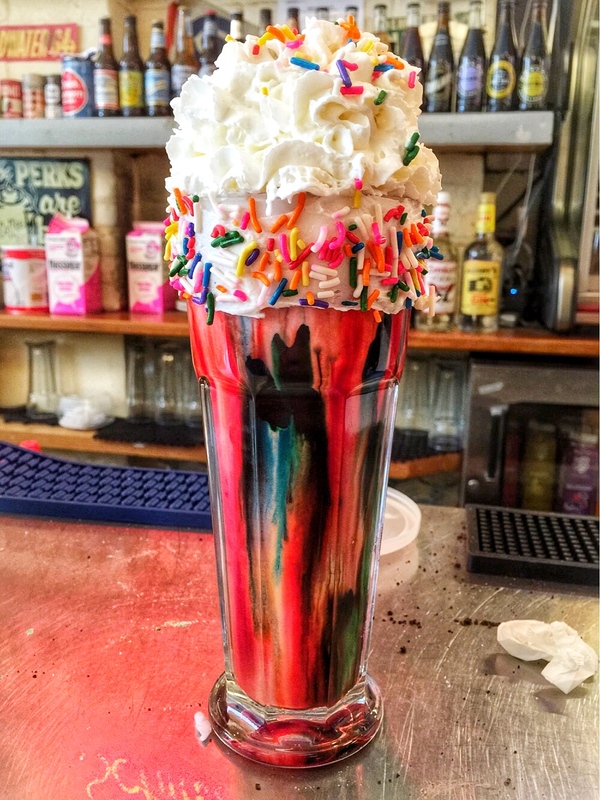 On a mission to collect all six infinity candies, the milkshake plans to use them to inflict it’s will on your dinner. The fate of Burgers and tater tots has never been more uncertain as everything your stomach has fought for has lead up to this moment. 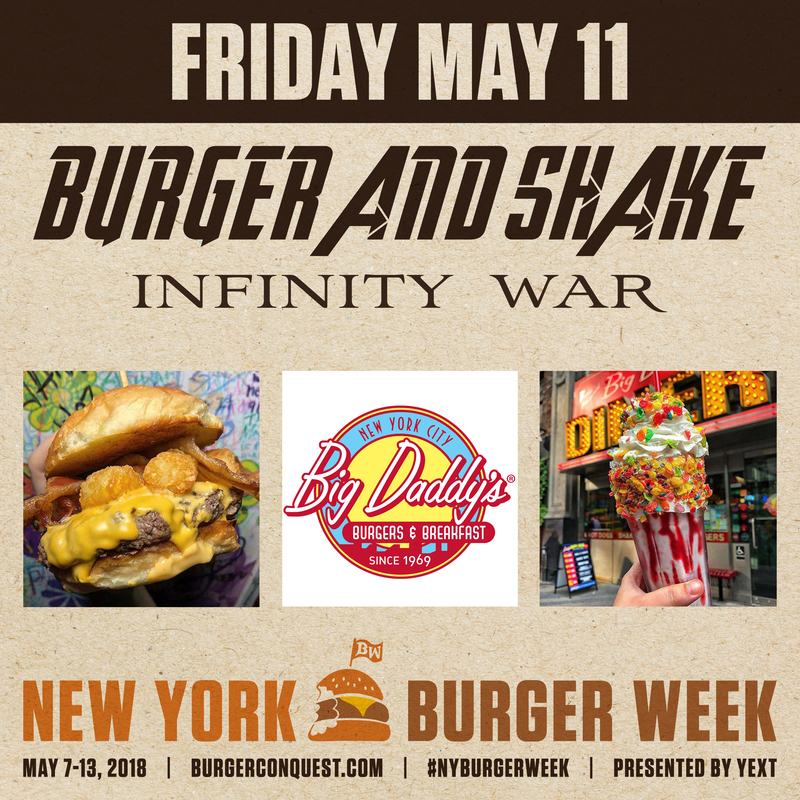 On Friday, May 11th, 2018 Big Daddy’s (2454 Broadway) will be the battleground where America’s mightiest of Burgers face the challenge of a milkshake with the sweetest of desires for the 7th annual NY Burger Week. 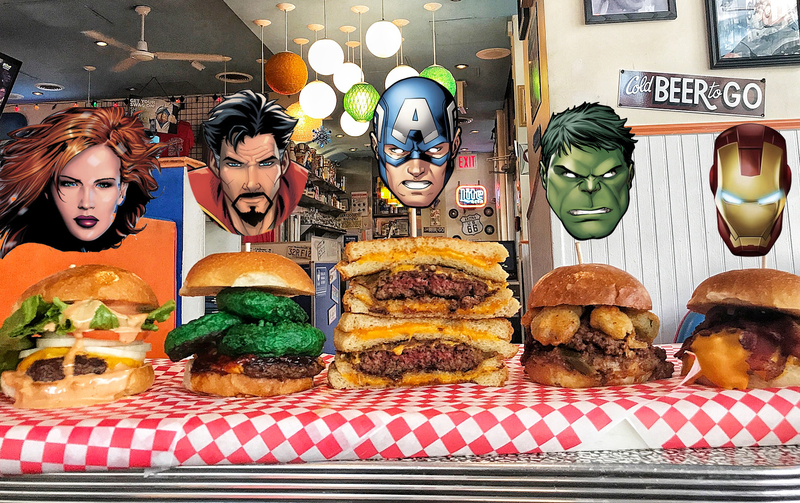 At this very special dinner, you’ll have your choice of superhero themed Burgers along with a side of Wakanda Tots served alongside of an oversized villainous milkshake. You’ll eat them all and ultimately decide if you are on the side of good or evil. The Natalie Rushman – A West-coast style Burger topped with lettuce, onion, tomato, American cheese and a secret Animal Russian dressing. The Vishanti – A magical rodeo-style Burger topped with green onion rings, Barton BBQ sauce & American cheese. 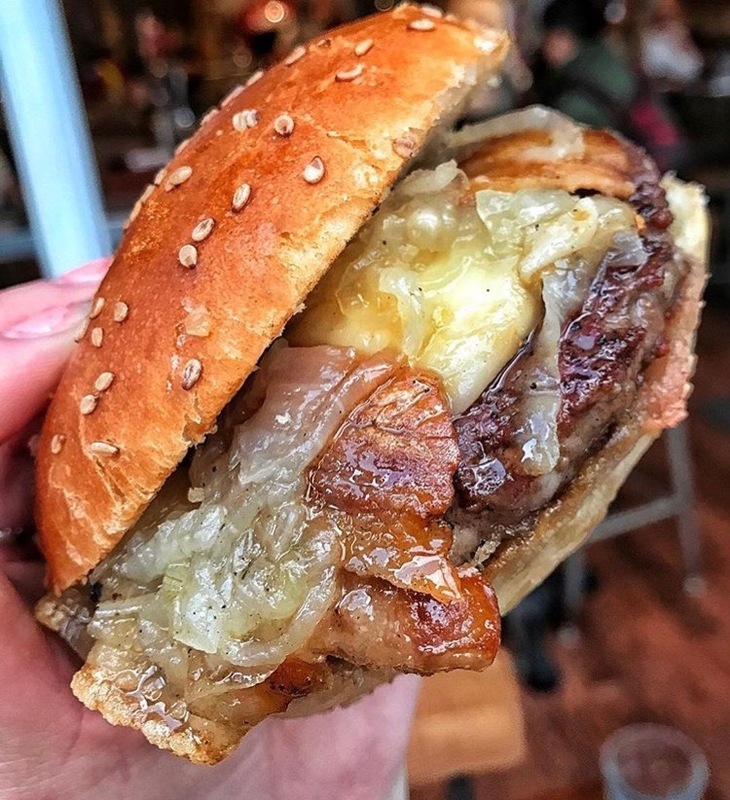 Captain Steve – An all American Burger topped with American cheese and grilled onions with two Grilled Cheese Sandwiches on White Bread as Buns. The Incredible Doc Green – Burger topped with 3-alarm chili, pepper jack cheese and fried jalapeños. The Arc Reactor -AKA the Heart Stopper – A Burger topped with a GENEROUS portion of thick cut bacon and cheese sauce. Does the Impossible Burger and the Beyond Burger actually taste like real beef? You will decide at the Blind Burger tasting. 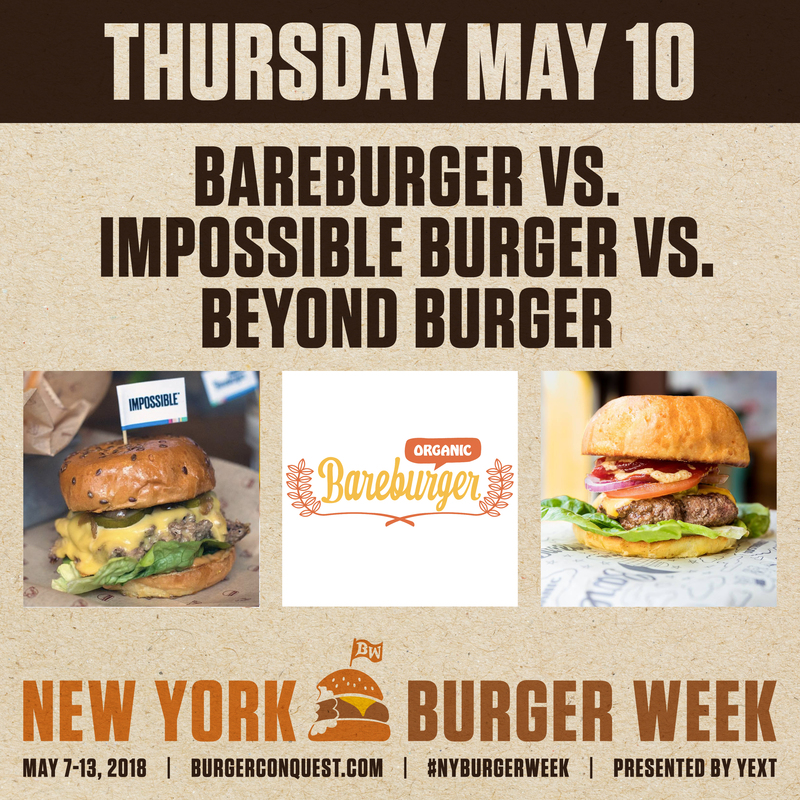 Bareburger (535 LaGuardia P) will host a Burger tasting that will blind you with tastiness on Thursday, May 10th for the 7th annual NY Burger Week. We’ll host the ultimate blind taste testing. You’ll be served a Bareburger made with beef, the Impossible Burger made with heme and the plant-based Beyond Burger. But there’s a twist … you’ll taste the Burgers while blindfolded! When the tasting is over, submit your guess for which is which and one lucky person will win a Bareburger gift card!